CoverGirl mascaras have long been some of my favourites, so when I traveled to Toronto for Beauty United and found out they were launching a new one, I was definitely intrigued. 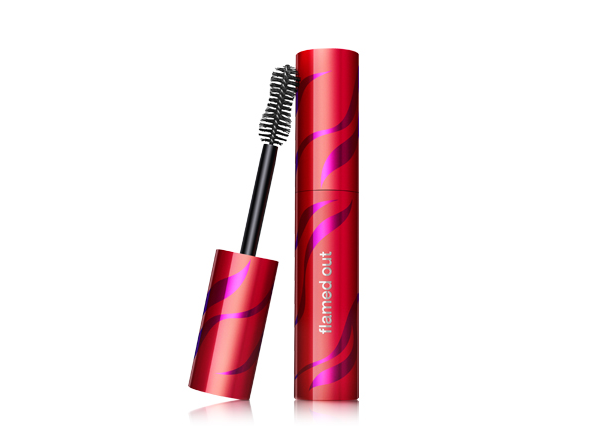 CoverGirl Flamed Out Mascara ($8.99 at London Drugs) promises to boost volume and give lashes a bold, winged-out look. The peanut-shaped brush is the main innovation here, a departure from the plastic polymer brushes of their LashBlast line and a nod to more traditional applicators. I would love to say Flamed Out is my new favourite, but LashBlast is still the one to beat in my books. Like CoverGirl's other mascaras, Flamed Out has a stay-all-day formula that comes off with just a bit of warm water and face cleanser. However, instead of making my lashes wing out and curl up, the applicator seems to flatten any benefits my lash curler may have imparted. If you've been blessed with naturally gorgeous lashes (jealous! ), this may be the mascara to take them to the next level. But for my skimpy little lashes, I think I'm better off with the fine-bristled polymer brushes in the LashBlast line. It seems okay if you curl your lashes and apply the mascara right away, but waiting for even 1-2 seconds = flattened lashes. Lashblast and Lashblast Fusion make me so happy, especially if I've been testing other mascaras for a while before picking up a Lashblast again. A return to Lashblast feels like coming home. Weird, but there it is.